Find fresh air, exercise and renewal on nearby Long Island. 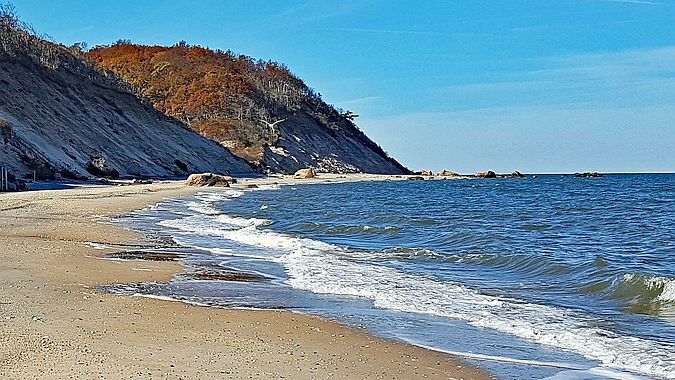 From hills to beaches, easy to rough terrain, historical sites and great after hike refreshments, Long Island has it all for a perfect day getaway. I'll share my experience and joy for hiking these woods and arrange a fun filled day that will refresh you and get you home in time for evening activities. 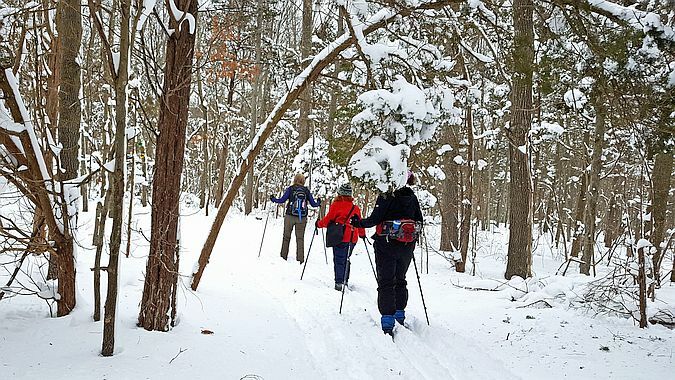 Join us for a celebration of winter with a 3-day / 2-night package of guided hiking or skiing with an experienced and enthusiastic guide. This package also includes two nights of comfortable lodging, homemade breakfasts and lunches. Our passion is sharing the joy of scrambling up rocky peaks, exploring magical places, and observing nature with a knowledgeable hiking guide. Lead Hiking Guide and founder Ed Moran has been guiding hiking and camping trips ranging from half day programs to multi-day treks for over a decade. Our trips range from the Catskills and Adirondacks to the mountains of New Hampshire and Maine. Also, we lead amazing guided hiking tours to beautiful destinations in Ireland. Ed arranges experiences including full moon, fire tower, peak-bagging, off-trail hiking, special themed hikes, and outdoor skills education. Additionally, we customize outings for corporate and group events, youth groups, schools, families and individuals. Choose one of our scheduled trips or contact us to customize a special experience for you or your group. Our clients love our attention to detail (Reviews on Facebook). We are meticulous about planning our trips, including hiking routes, gear, weather, and the the client’s own hiking ability. That same dedication extends to providing top notch hospitality, lodging, great food, and patient instruction in outdoor skills. Above all, we want to exceed your expectations in every thing that we do.